As you might have already realised sunshine shows up each and every little flaw in the finish of your Decking Timber. Pieces of flaking, weathering, algae and scuff marks are all signs your decking needs a bit of care and attention. So, Spring is the perfect time to spruce it up and get your decking timber ready for use over the Summer season. Ideally, decking timber treatment needs to be carried out on days that aren’t too hot, or in full sunlight (which can dry treatments out too quickly to penetrate the wood). 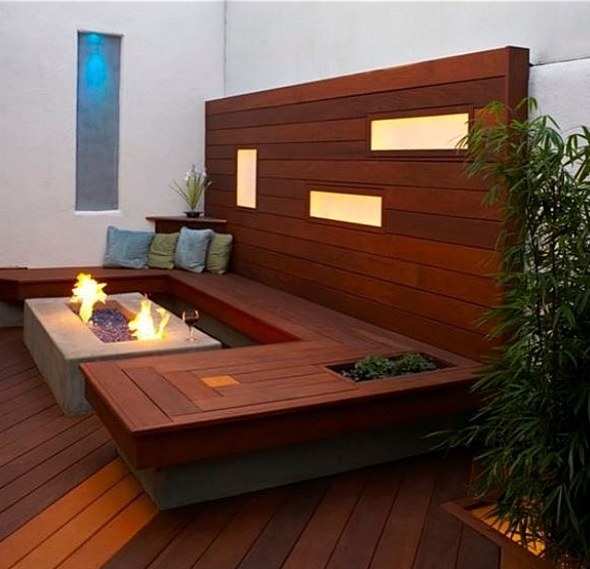 Best temperature to apply any decking protection is around 22°-25°, with no rain or high humidity. And if your decking is in full sun, protective layers need to be applied either early morning or evening. Put all the toys, barbeque and outdoors settings somewhere else. It is close to impossible cleaning and preparing your decking timber if there are obstacles in your way. Check and prepare you decking timber before you even think of recoating it. Look for broken or rotting decking timber. Any worn or degraded planks need to be replaced before decking preparation is applied. Recoating decking timber is not massively difficult for competent DIYers; however replacing timber should only be done by extremely competent DIYers or professionals. Some decks look so dry and damaged it’s easy to know they need recoating. However, sometimes decking only really needs cleaning up to make it last through the next few seasons. Try dropping a few sprinkles of water on your deck – if the water soaks into the decking, it definitely needs re-coating. Get a particularly strong outdoors long-handled brush and totally clean all the surface area of your decking timber. Some people prefer to use a pressure washer instead of a brush. Whichever you choose, make sure all dirt, algae build-up, and clear away whatever else has accumulated over Winter. Usually just a few drops of detergent in a bucket of water are enough to clean decking timber, followed by a rinse of clean water of course. However, you might also need some stronger cleaner for some dirt build up (ask your local hardware shop for advice). You might need to sand decking timber which hasn’t been recoated for some time. It is impossible to recoat decking timber which has peeling and flaking older coats on preparation on them. The only way to solve this problem is to re-sand. Always clean after you’ve sanded, the last thing you need is particles of dirt and old preparation mixed in with your new treatment. Oil or Water based decking preparation – a tricky choice. If your decking timber has never been coated before, make sure you read this article on Build.com Oil vs Acrylic Your Best Timber Finish. However, usually if your decking has already been coated with either an Oil or Acrylic (water based) coating, that is the one to re-coat your timber with, unless you are prepared to sand the whole deck back to its original timber. Always begin applying the coating in a corner which is closest to the house, and slowly expand to bring the coating towards the rest of the decking. Whether it is a brush, paint brush or roller; only use the applicator which is recommended on the container of the coating you are using. If you have any doubts ask the person selling you the preparation what they would use, or check out the brand’s website to see what they suggest. The saying ‘you get what you pay for’ is always true with any type of timber coating. You might save money by buying cheaper decking timber coating from a supermarket, it could have such a poor finish, you might have to do an extra coat, or re-coat in a shorter amount of time. Again, ask your salesperson what they would use on their decking. To find out what decking is up for auction check out our Building Materials Catalogue which is uploaded at 5pm Friday every night. Come and pay us a visit at Renovator Auctions Western Sydney showrooms, 28-34 Orange Grove Road, Liverpool (Warwick Farm), phone: (02) 9822 7883, fill out the form on our contacts page, or email us. For even more inspiration and Steps like and follow us on our popular Pinterest and Facebook pages.